An oyster walking upstairs? A dog, a cat, a rooster and a donkey busking on the footpaths? Bremen is a place where I can well imagine all that. 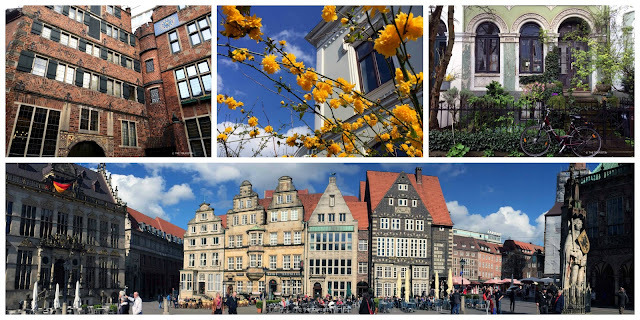 Europe is full of history and magic and Bremen fits right in. The Free Hanseatic City of Bremen is the smallest of Germany's states. In the city on the River Weser in the north-western part of Germany you find stories that date 1,200 years back. Trade and shipping shaped Bremen. It was merchants who determined the fate of the city at this intersection of important trade routes from the River Rhine to the Baltic Sea and from the River Weser to the North Sea. all different shapes and colours and red brick architecture next to stunning UNESCO listed historical properties that show the diversity of cultural heritage and are worth to be protected and conserved. The statue of Roland, erected in 1404 as a symbol for civic liberty and freedom, and the Bremen Town Hall are both protected. The Bremen Town Hall built between 1405 and 1409 in gothic style is the only European town hall of the late Middle Ages, that was never destroyed over all these centuries. The Roland, the landmark of the city has several replicas such as in Brooklyn in USA, Obihiro in Japan, Quito in Ecuador. There are also a few places called Bremen in the US, such as in Indiana, Maine, Georgia. It is in Bremen, where market researchers test products that are completely unknown in the rest of Germany. 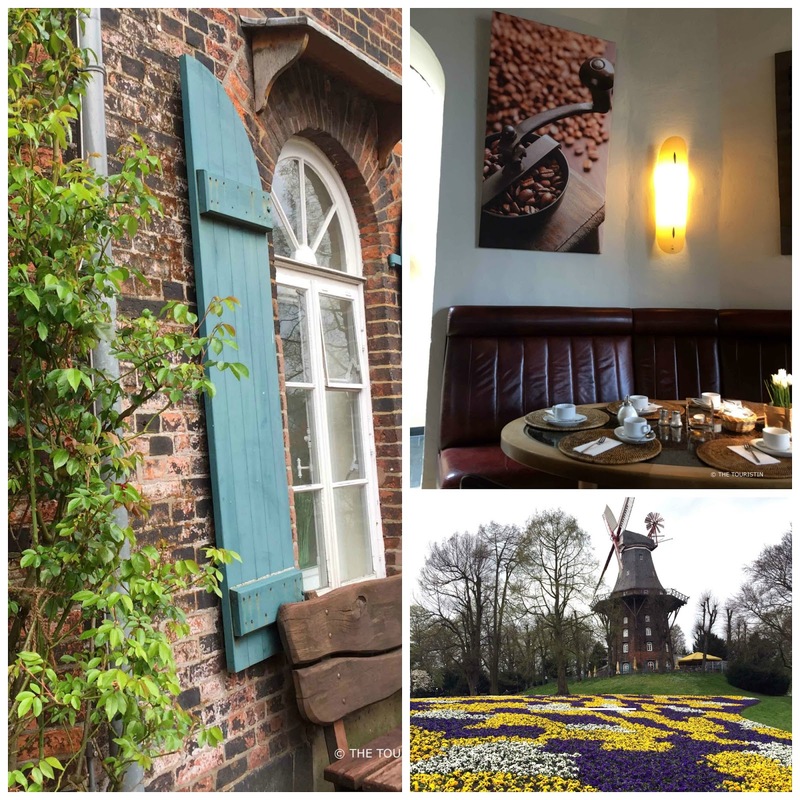 Bremen is the Honey-Capital of Germany, the honey trade was first mentioned in documents in the 8th century. And here is what else makes Bremen so lovable. The museum has been in this exact same spot in the public garden for over 150 years and shows paintings from the 14th century to the present day. Berlin architects Hufnagel Pütz Rafaelian attached two geometric cubes on both sides of the original construction from 1849 to extend the usable floor space of the museum. The two staircases, that connect old and new, are massive in construction but appear extremely elegant and delicate. With endowments, donations, bequests by friends of the arts and allocations from the City of Bremen, the Art Association Bremen as the owner, was able to build a rich and diverse collection of paintings, sculptures and graphic art pieces with works by Edward Munch, Paul Cézanne, Édouard Manet, Claude Monet, Henri de Toulouse-Lautrec and Vincent van Gogh, Max Liebermann, Max Beckmann and many more. 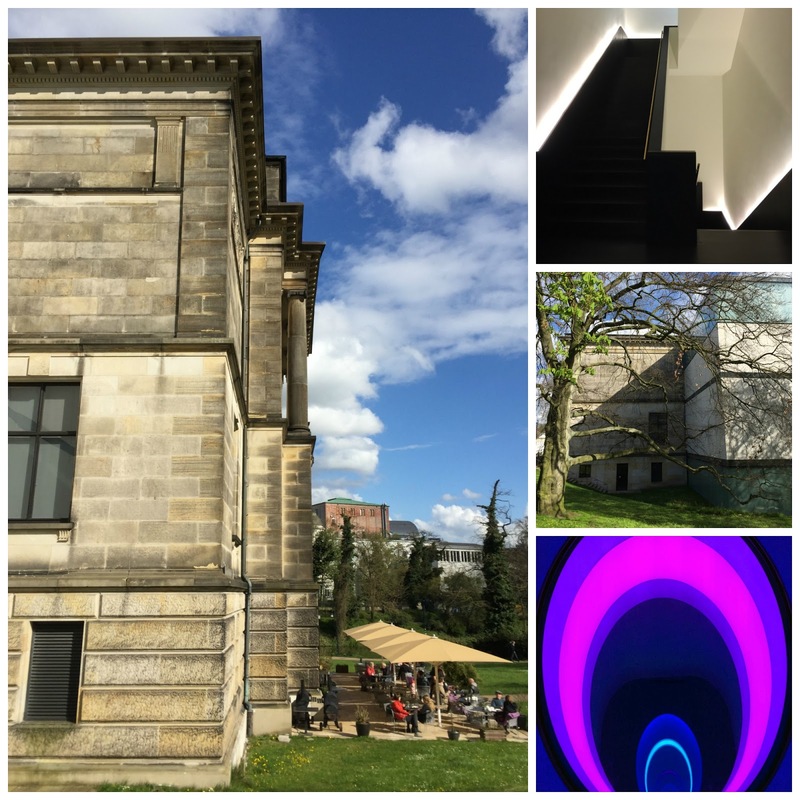 Don’t miss to check out the permanent light installation Above – Between – Below through three floors of the Kunsthalle by American artist James Turrell. He has been exploring light and space over decades. When I entered the blue and purple light room on the top floor I experienced it as a sort of spiritual place. Info Am Wall 207, 28195 Bremen. Wednesday to Sunday 10am to 5pm and Tuesday 10am to 9pm. Adults, EUR 9. Children under 6, free. Age 6 to 21, EUR 3,50. Family Ticket (2 adults with up to 4 children), EUR 18. Groups of more than 10 persons, EUR 6 per person. For more information visit the website. 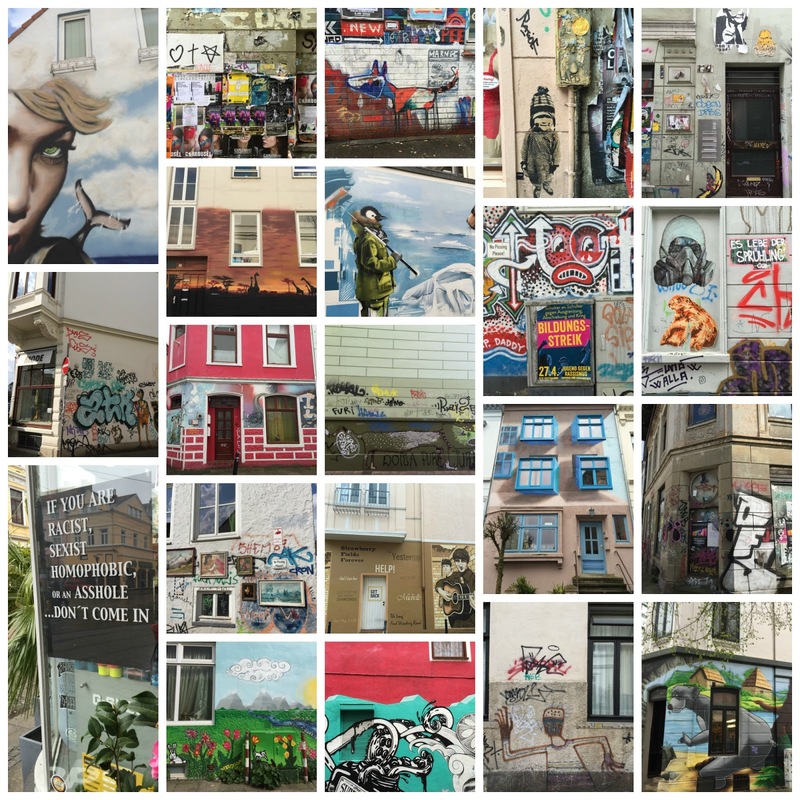 While strolling through town, I get the strong feeling that the street art in Bremen is primarily an examination or better analysis of society. There are countless logos, stickers, murals large and small and lots of commissioned street art too. Info It is free and for everybody to see. Just walk around the area at Ostersteintor and you will see lots of art. This is a place where people come together ever since 1409, and the very changeable history of the cellar can be traced back all these centuries. Everybody knows, how much people up north in Germany, love to drink their tea. It will surprise you, that this place is one of the most venerable and best German wine trading houses in the country. It is busy, there is lots of talk and discussions and laughter, the waiters joke around with the guests, and I have no idea how they can keep it all under control. Info Am Markt, 28195 Bremen. Hours: Every day from 11am to 12am. The musicians never arrive in Bremen albeit it was their plan to reach the town. I am sure you read the fairy tale by Brothers Grimm as a child too. You can visit the bronze sculpture of the Town Musicians of Bremen that was created in 1953 by German artist Gerhard Marcks and touch them to make any wish come true (or so the legend goes). Info Next to the entrance to the Ratskeller. It is free and for everybody to touch and see. 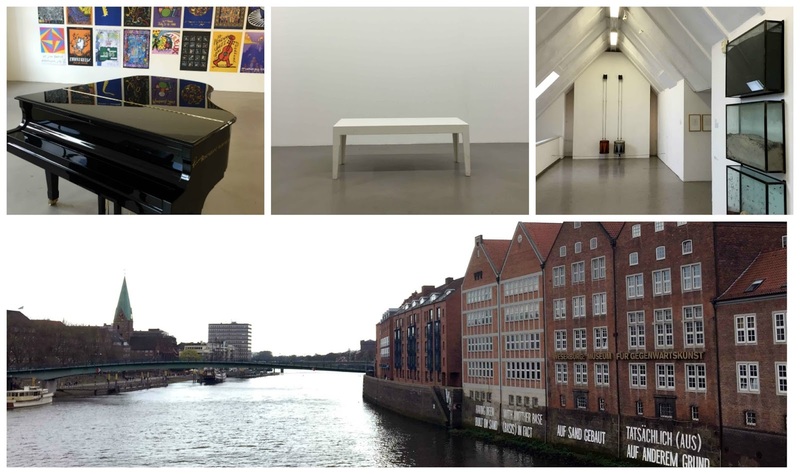 The museum of modern art is one of the largest museums in Germany and sits on a river island, between two arms of the River Weser. Ever changing exhibitions show the exciting developments of art from 1960s till today. Museums have ever been a mirror of society, and there is so much to sponge in at this place where art from several European private collections are on show. If you would like to dig deeper there are guided tours, concerts, lectures, performances, artist talks and screenings. Before art moved into the Weserburg a tobacco factory and a coffee roaster called the old warehouse home. You can take the lift to reach all four levels, and that is when you hear the famous Joseph Beuys - Ja Ja Ja Ne Ne Ne performance. And then there is the painting on the façade: Built on Sand, I’m not too sure what they want to tell us, to me they say, everything can be over tomorrow (since it is built on sand) but I can’t confirm this as the true meaning. Info Weserburg. Museum of Modern Art. Teerhof 20, 28199 Bremen. Hours: Tuesday to Sunday 11am to 6pm, Thursday 11am to 8pm, closed on Mondays. Tickets: Adults: EUR 8. Recipients of unemployment assistance and welfare: EUR 3. Families: EUR 14 (2 adults + children under 18 years). Family Mini Ticket: EUR 10 (1 adult + children under 18 years). Groups (15 people): EUR 5 per person. School groups: per pupil EUR 1.50. Reduced admission EUR 5 for: children / young people under 18, students, trainees, unemployed, severely handicapped persons. For more information please visit the website. The Mill in the rampart gardens is unique. In the last century there were ten or so more windmills that supplied the population with flour. The place for the windmills was chosen for the windy breeze they would get on the hilltops of city gates and bastions. They no longer exist. This last one standing moved over the years, it burned down twice and before it became a café it housed a driving school (unbelievable right?). Info Am Wall 212, 28195 Bremen. Hours: Monday to Sunday from 9.30am to 10pm. If I would have had more time I’m sure I would have found more reasons to love Bremen. I can’t wait for my next visit.